Welcome to Katfrog's Corner: My 1st App is Running on Google!!! My 1st App is Running on Google!!! 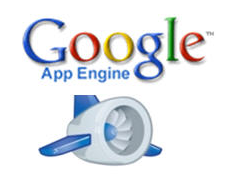 Yes, you read that right - I have a small app running on Google's App Engine!!! Woot! Okay, it's not much. I wrote a ROT13 translator. ROT13 is a substitution cipher where you take any letter of the alphabet and substitute the letter that is 13 places away. Since our alphabet is 26 characters long, that means ROT13 is special in that you can run the same algorithm to encrypt and decrypt a message. If you want to try mine out, go to http://kat-helloworld.appspot.com/rot13. Enter text in the box and hit the "Submit" button. Vióla!! Instant secret message! I will be adding to my app soon; I'm thinking about putting up a few simple games. Any suggestions??? Simple games...uh, like tic-tac-toe or hang-man? Yes, or rock-paper-scissors-lizard-Spock, or Pong. Basically, a game that doesn't require massive graphics skills.